Welcome to the Tackett Chiropractic new patient center! We understand that arriving at a doctor's office for the first time can be nerve racking. If you've never experienced chiropractic care before, you may not know what to expect when you come to our Queensbury chiropractic office for the first time. Filling out paperwork, learning new faces and names, and getting to know your way around the office can be an overwhelming experience. That's why at Tackett Chiropractic our aim is to remove any unnecessary stress or tension and make you feel comfortable during your visit with our chiropractor. In this area of the website, you will be able to take care of items necessary for your visit prior to arriving. If you have any questions at any time, please don't hesitate to contact our Queensbury chiropractic office at (518) 798-4322! So, check us out here. Poke around. Get to know us. Then, contact our Queensbury chiropractic practice to make an appointment so we can get to know you. 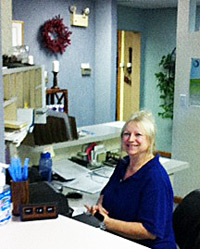 Your first experience in our office will begin with a pleasant reception and a smile. This is because we love our jobs and because we are also about to hand you some paperwork. Its not our fault, most of it is from your insurance company. Your first visit is all about the doctor understanding you, the patient. This will begin with the doctor sitting with you and taking a thorough history. Our doctors are trained to ask the right questions to get to not just determine what is wrong but also to help determine what might help prevent this from happening again. After the history you will be given a physical exam. No…not like at your medical doctors, rather our exam is a combination of neurological, orthopedic and chiropractic. The more we know the more likely we are to help you with your problem. If x-rays are necessary we have a state of the art digital x-ray system for your convenience. No need to go someplace else and pay another co-pay. Our doctor will give you advice on what is our immediate course of action. Our front desk will be able to give you an idea of what your insurance will typically cover and any intricacies with you particular plan. Before you leave we schedule you for your report of findings on the second visit. In all, you should give yourself an hour for this 1st visit. Very seldom is there a wait of more than 5 minutes before we get started. While the first visit is the fact finding mission, the second visit could be considered the nuts and bolts. We do a thorough report of findings so as you are very comfortable with not just what is going on with you but also exactly what it is going to take to get you better. Your treatment plan will be clear and our goals will be stated. After all your questions are answered its on to the best part…the adjustment. Our care is both gentle and effective. We have patients from 2 weeks old to 95 years old. 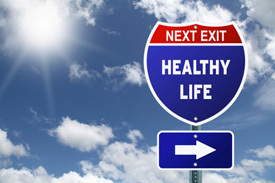 You are all individuals and your treatment plan is tailored to your individual needs. If we decide that your condition is something we can help than you can be absolutely sure that you ARE in the right place. Expect the second visit to take about 30 minutes. A typical office visit will consist of, first, getting your opinion on how things are going. Next the doctor does a quick assessment and then the treatment. A treatment can last up to 10 minutes with the doctor.